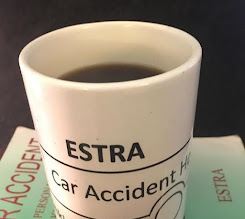 Seattle (ESTRA) - A lot can happen in the first year of a Car Accident. Typically this includes dealing with Auto Insurance Companies, Employers, Long-Term Disability Companies, Social Security, along with injury concerns. This can add up to a long twelve months, or feel like it even in a less amount of time. Has a Car Accident, in this current year thrown a wrench in your plans, meaning they were placed on hold or scrubbed all together? If having more than your share of hard times this year, how can you transform these experiences into good ones? Attitudes and perspectives decide how the mind processes life experiences. Personal expectations add value to life occurrences as individually deciding the impact on self-worth and self-pride. 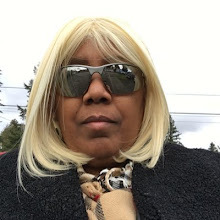 However, once a decision is made that value as a human being does not lay in the hands of our Peers or Wall Street, that it is our choice alone, our belief system may then create our own personal standard. Therefore, standards of excellence resides within ourselves. Hard times bring change in unanticipated ways. Sometimes courage within us is brought out in ways never imagined and those we thought would stand with us to the end don’t, and those we thought wouldn’t, do. Therefore, difficult situation can teach us things about ourselves and other which we didn’t know. Hard times can be turn into good ones by realizing where your internal cues come from, evaluating expectation, and learning new ways to process negative situations therefore allowing something good to come from them. Unfortunately, being in a serious car accident for the average person brings difficult times. First the mind has to comprehend current situation. Depending on injuries this acceptance may be problematic due to seriousness. Next, a decision must be made about recovery, and where your future goes from here. More than likely while trying to figure all these things out, financial woes creep in because Auto Insurance Companies, Employers, Long-Term Disability Insurance, or Social Security Disability Insurance, create delays and denials on your benefits. If benefit payments all stop at once, most people do not have enough income for survival, causing many families to fall into object poverty. Choosing a "Good Faith" Auto Insurance Company Helps Secure Fair Settlements After Collisions. These actions definitely attempt to break the injured victim in body and spirit, creating a downward spiral that may take years or decades to recover from, if ever. Many facing this situation are in no position to fight for their benefits due to a lack of income compared to the deep pockets of companies making decision regarding their claim requests. Especially while being injured or sick and not at full capacity to protect oneself. My, my, my, yes, this can indeed be hard times brought on by a Car Accident, and companies operating in their best of interest and not the insured make it worst. Should you wallow in self-pity and anger? Absolutely not. What comes around does go around and you do not have to be there to see it as nice as that might be for the psyche. Instead, take a positive approach to a bad situation. First evaluate what you do have and what can be done with it. Second, decide no matter what happens you will stay positive and move forward. If you suffer lack, so be it. Lack will not be with you always. Look for new ways to get your needs meet outside standard methods. Make sure to rest and do your best to recover. These companies are well aware of most people inability to function under duress and in my opinion, realize the pain and suffering intentionally caused. Third, continue to stand for benefits and do not give up on your claim. Make sure to document their actions and reasons for it. You may be going through this for the first time, yet, they are pros at navigating this process and coming out on top. Still be your best advocate. Share your stories. The more you learn, the better able to advocate for yourself. Each person treated unfairly means an additional person to stand up for change. Lastly, remember, the goal is to recover and get well. Focus on you and continue struggling to improve because it can be done. Trust in your ability to move forward and choose to promote positive ways in overcoming hurdles placed in your path after being involved in a car accident. Be aware of the games played to withhold benefits. Let companies know you are paying attention to their behaviors. Look at each obstacle and ask yourself, how can I overcome this? Continue to ask yourself this question until possible solutions are made clear. Evaluate them on their merits and impact. Choose the best option for you, act upon it and store those memories in the “good ones” stack as a victory. Take your time and be patient. I will, as always be wishing good outcomes for you. There is a Starter Checklist in the back of book Car Accident by ESTRA. Keep a copy in Car Glove Box. A car accident weekly planner aids in decision making by providing easy documentation of what is happening with your situation, physically, emotionally, financially, and legally, all in one place. A calendar is an asset in relieving stress when energy is low with many demands on time while recovering. Access to appointment times, documentation, and to-do-list, along with specialized categories contain inside Planner can make it easier to see where you are and where you need to go.